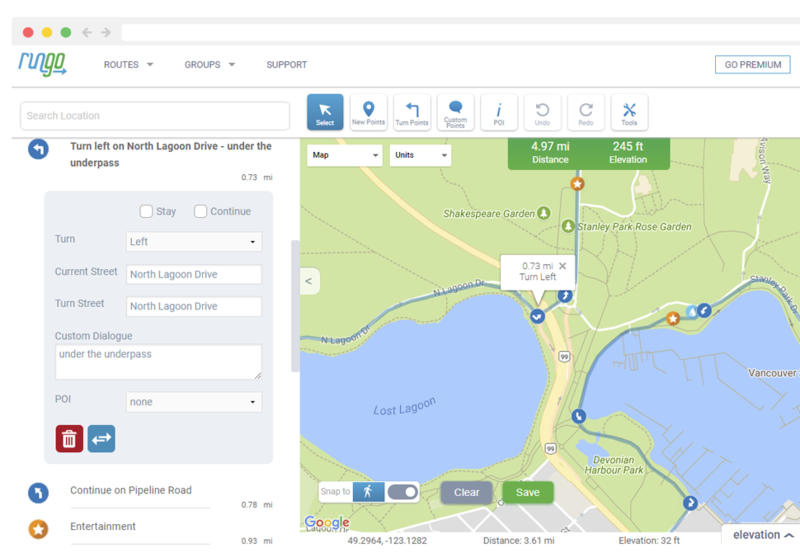 Fully customize your routes on your desktop then run them with voice navigation on your mobile device. Plot your favourite routes with the desktop route creator. 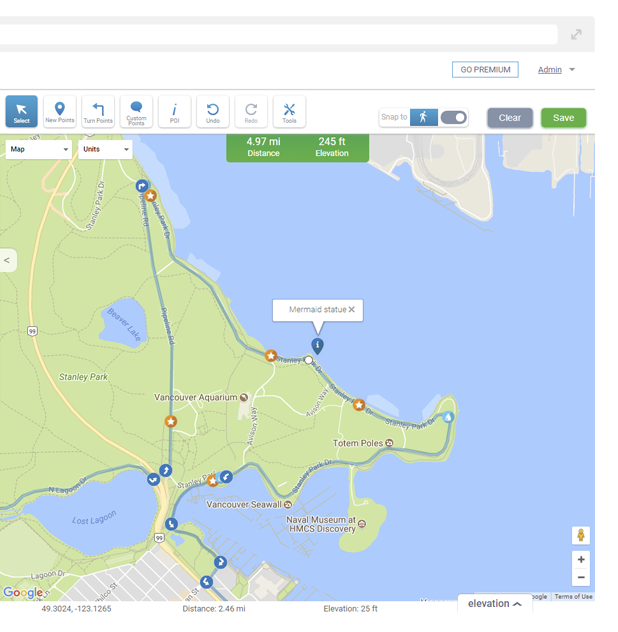 Send your route to your friends, running clubs, or race attendees. Get turn-by-turn voice navigation on your mobile device or print out the directions.